Our Managing Direct Gary Marocchi is a strong believer in ‘Our Employees Are Our Greatest Asset’. MEG is an environment where every employee is empowered to contribute and is recognized for their effort. We also have a close working relationship with electrical, mechanical and hydraulic consultants should we require additional design input. We have a very good relationship with experienced contracted Structural Draftspersons, when we have an overload of projects. Gary Marocchi BE MIE Aust. 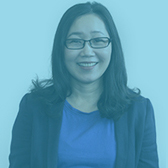 CPEng graduated from the University of WA in 1977, is the Managing Director of Marocchi Engineering. Gary was previously a partner in the engineering company Marocchi & Robinson Consulting Engineers. 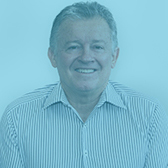 Gary is a Senior Structural Design Engineer with over 40 years industry experience. 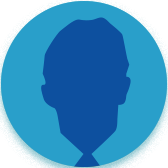 Gary manages the overall elements of the company and is the main point of communication to ensure that all projects are delivered to the highest professional standard. 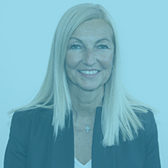 Debra’s primary role is a Business Development Coordinator primary focused on company procedures, policies and Human resource management. Nic has over 30 years’ experience specialising in commercial & industrial buildings from design development to contract administration. Nic is responsible for all client liaison for Architectural projects from initial concept stage to project completion. 1985 - 1986 Graduate Architect with Summerhayes Way & Assoc. 1985 - 1987 Architect with Kevin Palassis Architect. 1988 - 1993 Senior Architect with Peter Hunt Architect. 1993 - 2002 Company Architect for Marocchi & Robinson. 2002 - Present Company Architect for Marocchi Engineering Group. 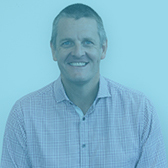 Mark Purvey BE(Hons) MIEAust graduated from Adelaide University in 1990 and has over 25 years of experience in structural engineering consulting, project management, building and developing property. He is also a registered builder in WA. Mark’s area of interest and expertise include lateral earthquake restraint of multistorey structures, and larger residential, commercial and industrial projects. Being a builder himself, Mark’s aim is to always provide the most “buildable” and efficient solutions, with a care and attention to detail. 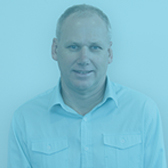 Ron has over 30 years extensive experience in architectural design and structural drafting, liaison with architects/builders as well as contractors both in the office and on site. 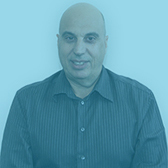 Ron is also a registered builder with over 20 years’ experience. Danny Hall is a structural draft person with over 10 years experience in architectural and structural drafting. Mya joined the team in 2016 as a company secretary having worked in customer service within the IT and Health sectors. Her roles consists of accounts administration, office management, and personal assistant to the directors. © MAROCCHI ENGINEERING GROUP, 2019.